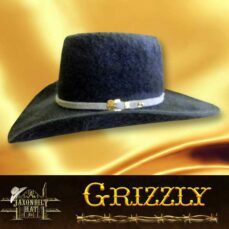 Another one of JAXONBILT’S six by six western hats. This hat is popular with everyone! If you want to dress up and be seen, then try the “Carlsbad”. It is a big hat, 6”x 5”. The brim has plenty of swing and snap. The trimmings are a combination crystal and cappuccino. 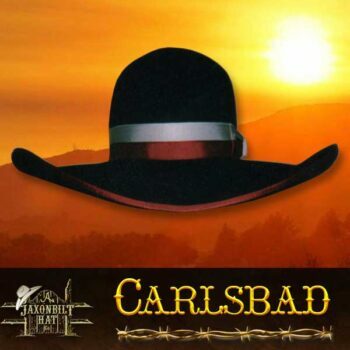 Beautifully harmonizing the flow of the single Carlsbad crease to the floating wide brim. Sorry, the 6’x5” is available in only 10X (50% beaver) and 50X (100% beaver). A wide choice of colors and styles await your selection. 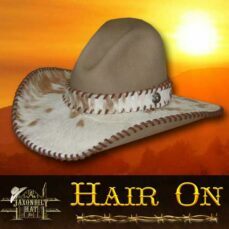 How about a hat can to protect you hat purchase?